Just over half way through Lent we are given a reprieve from the fasting: Refreshment Sunday. This was a time, not only when fasts could be broken, but when those working away from home (think maids in Downton Abbey) were given a weekend off to go home to visit their families, but also their ‘Mother Church’ the church in which they were baptised (Christened). Mothering Sunday is quite a British tradition and quite different from ‘Mother’s Day’ in other countries, the purpose of which is to celebrate mums and to thank them for all they do. Of course this is an important aspect of our Mothering Sunday too, but it was also an important part of the Lenten observations of reconnecting with our spiritual families and backgrounds. A custom of picking posies of wild flowers for mother on the walk back home grew, and we still give posies to our ‘mothers’ in our congregations; also the baking of a cake. 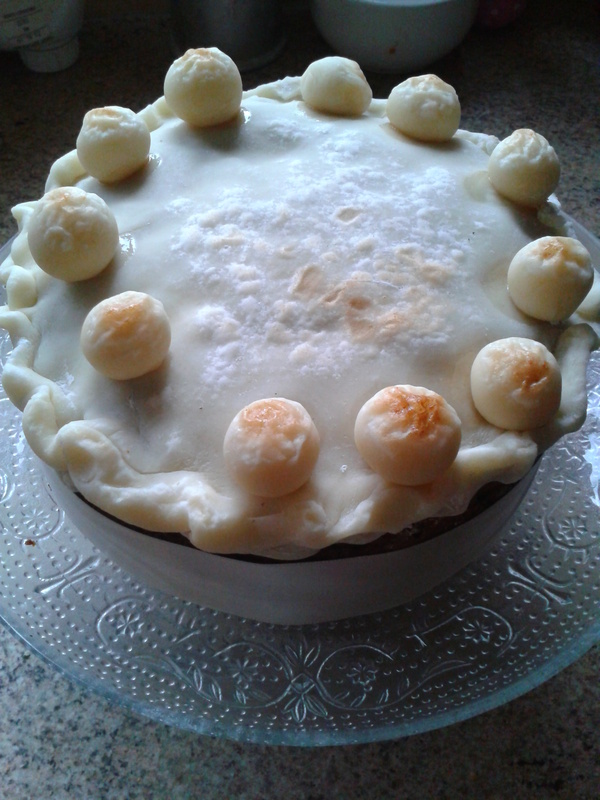 The Simnel cake, a rich fruit cake laced and decorated with marzipan, enabled girls in service to show off the culinary skills they had learned in the Big House. The cake came to be a reminder to keep faithful during the lenten fast for the feast of Easter is on its way. Traditionally decorated with 11 balls of marzipan to represent each of the faithful disciples – Judas, the one who betrayed Jesus, doesn’t get a golden ball! The cake, carefully kept, would keep until the Easter celebrations. 1. 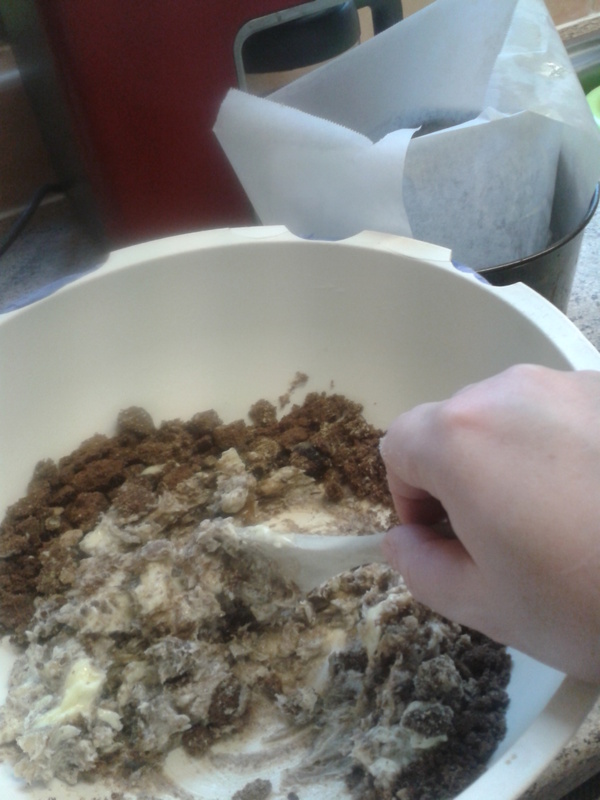 Heat the oven to 150c/gas 2, line the cake tin (8inch) with grease proof paper. 3. 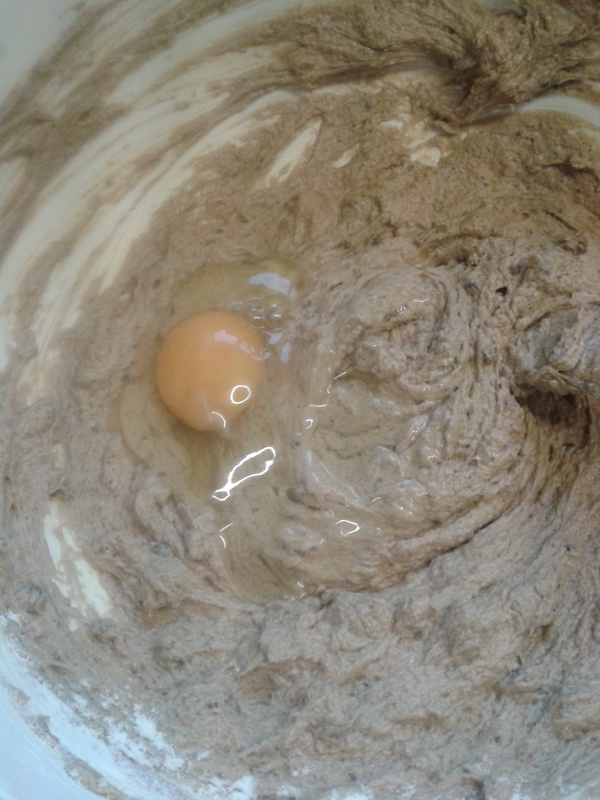 Beat in the eggs, one at a time, interspersing with a handful of flour to prevent the mixture from curdling. 4. Add the rest of the flour, baking powder and spice. 5. Fold in the ground almonds, dried fruit and lemon. 6. Spoon half into the tin, and level. 7. 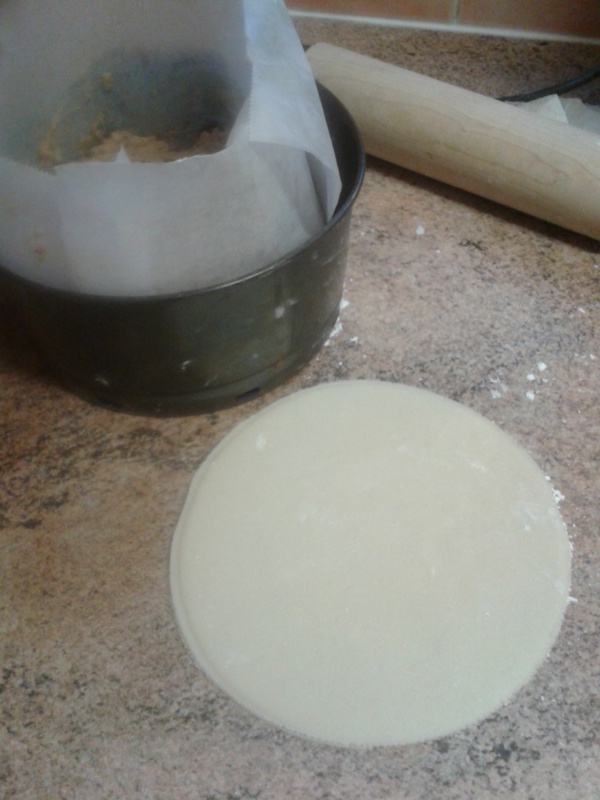 Roll out 1/3 of the marzipan into a circle the same size as your cake and lay on top of the mix. 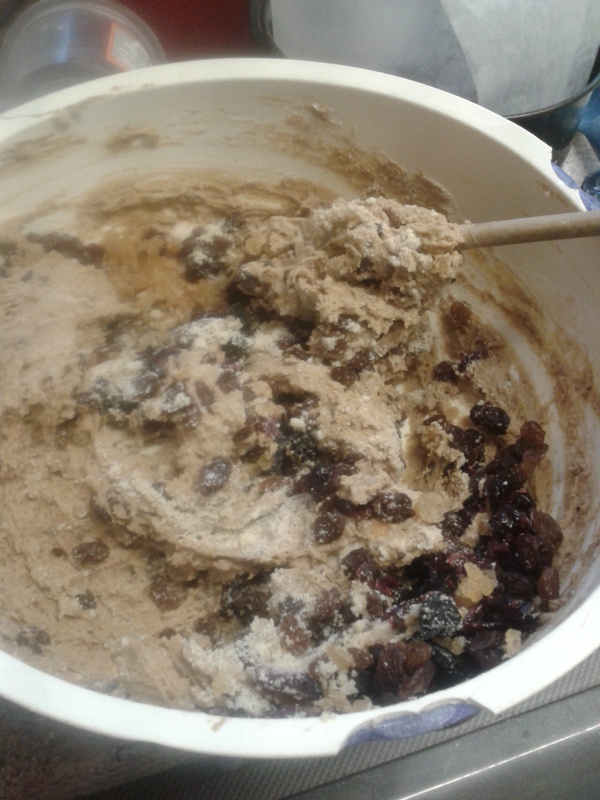 Spoon over the remaining mixture and level out. 8. Bake the cake in the centre of the oven for 2 -2 1/4 hours, or until a skewer comes out clean. You may need to cover the top of the cake to prevent it from becoming too ‘suntanned’. 9. Once cooked leave in the tin to cool. 10. 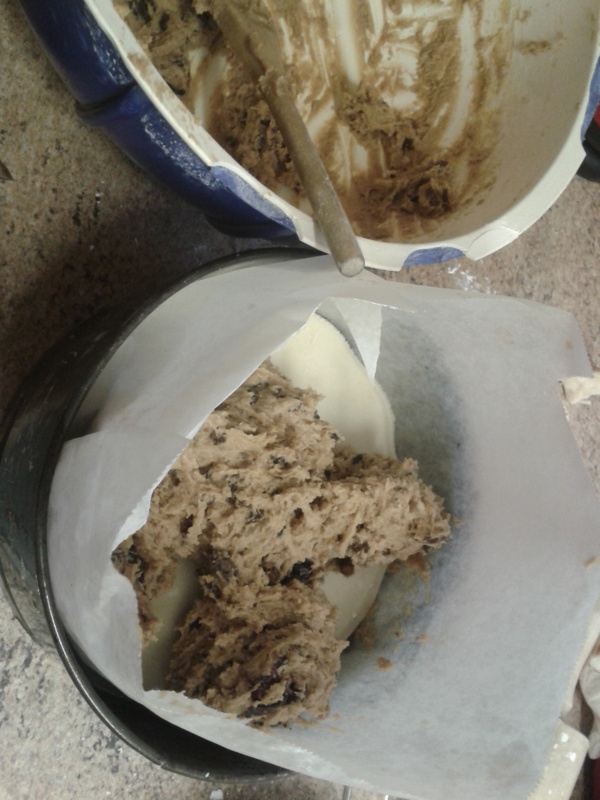 Remove the cooled cake from the tin and remove the paper lining. 11. Paint the top of the cake with the quince jelly (traditionally you should use an apricot glaze made with watered down jam warmed through), to act as a ‘glue’. 12. Roll out half the remaining marzipan into a circle as before, then place this on top of the cake. 13. With the remaining marzipan form the 11 faithful ‘disciples’, and ‘glue’ these on top too. 14. Place the whole cake under a hot grill to give a golden edge to the cake. 15. Decorate with a ribbon and give to Mum, or keep in an airtight containing until Easter. Or pop the kettle on, and settle down to a cup of tea and a slice of cake! Happy Mothering Sunday! Living the Mission of Jesus: we are agents of social transformation. Today is the third Sunday in Lent – also known as Refreshment Sunday as we are allowed to take a break from our Lenten fasts and to be refreshed by decent food and wine again. Tomorrow, however, we are back on the bread and water. It is also, of course, Mothering Sunday – or as Hallmark refers to it, ‘Mothers’ Day’. And yet our Bishop has asked us to focus on being agents of social transformation, and the lectionary readings have a little to say about mums but not much and not very much that is encouraging or inspiring. This week I worked with one of our schools on a Mothering Sunday activity day, we looked at how important it was for Jesus to be born into a family, how important it was for God to experience having a mum. We thought about how most of Jesus’ friends ran away from the foot of the cross and hid, how even God the Father had to turn away from the sin that Jesus was carrying, but his mother remained there, keeping her eyes focussed on Jesus the whole, painful, torturous, heartbreaking time. We thought about how God was referred to as a mother hen… and of course we thought about our own mums and made them posies and sweeties and cards. The mum in this story is scared. Both she and her husband risk being excommunicated, being cast out from the synagogue – the cultural focus of the community not just the religious centre. The only statement that she is prepared to make is that this is her son. She will not abandon him, but she cannot stand by him as he grows in faith and boldness despite the insults of the Pharisees. So why does the Mother Church in all her wisdom give us this passage to consider today of all days? Perhaps we need to go back to the origins of Mothering Sunday and try to peel our thoughts away from breakfast in bed and luxury chocolates. Mothering Sunday was originally the day when you would return to your ‘mother church’ – this could be the local cathedral or it could be the church where you were Christened. For those ‘in service’ (think Downton Abbey or Upstairs Downstairs) it was a rare day off when you were allowed to go ‘home’ in order to ‘go a mothering’. Customs grew up around this annual pilgrimage, posies picked on the way home were given to mum and a Simnel Cake was often baked as a gift. Although the cake was rarely eaten before Easter Sunday due to Lenten observances, the 11 balls of marzipan which decorated the cake, representing the 12 disciples minus Judas, remind us of the need for repentance and prayer lest we too should fall from grace. So Mothering Sunday is really about the return to church, the return to our worshipping communities, the places where we belong and find ourselves at home. Does that fit with being agents of social change? – enough to have him cast out of the synagogue. And what happens when he finds himself excluded? Jesus comes and finds him. Today we may find our numbers have grown a little as people come along to church to experience the giving and receiving of posies, but I imagine many more people will still be in bed, or preparing to go out for lunch. There may be families of great affluence in our parishes who can really pamper the mothers in their midsts. There may be others who have little or nothing financially and the gifts that are lavished upon them are ones made at school. There may be mums on their own trying to make the day feel special when it feels lonely and even more difficult than normal. There may be grieving mums. There may be families with 3 generations of mums gathered together for a feast – the youngest mum being in her teens. There may be pregnant teenagers trying to hide feelings of morning sickness and shame. Today we are to encourage each other to be motivated to do something positive for the communities we live in. To think about what offends us about the way our society is run and to think and pray about what we can do to make a difference. I can’t help but think that we need to open our eyes to the people living around us, and today of all days, to think about the family relationships that may be struggling and ways in which we as a church can support them. And maybe we do need to start at the root? The root of our gospel story is enabling people to change, to see things as they may be rather than as they are. At the root of our tradition of Mothering Sunday is the return to church as a family. Perhaps one way we could become agents of social change is by forging stronger relationships with our baptism families, and perhaps we could have begun by sending out invitations to ‘come a mothering’ with us today? If we want to do more than stick plasters on top of wounds then offering ourselves in support of parents and families before they find themselves struggling may be the way to go about it. Indeed we are encouraged in our Lenten prayer-life, focussing on the Rule of St Benedict, to think about how we can develop a right sense of the holy activities of work, education and contribution to family life. Is this just for us or for our interaction with our communities. Jesus went out to find the no longer blind beggar. Are we prepared to go out and find those who have been cast out from society? Can we help them to visualise a place where they can belong? Can we see ourselves as being the ones who enable that to happen? If so, where do we go from here?